We’re just days away from SLEEPY HOLLOW’s season 2 premiere, and now that the show has laid its groundwork for the delightful insanity that’s ahead, the writers and actors have the opportunity to dig deeper into the characters we’ve grown to love. Case in point: Abbie Mills. The SLEEPY HOLLOW season 2 premiere photos are here! After leaving every character in terrible shape, as you might expect, the “Hellfire” photos are both simultaneously vague on most parts and spoilery for one specific cliffhanger. 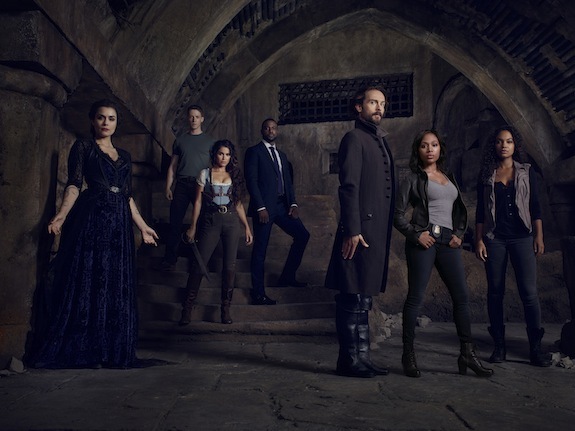 SLEEPY HOLLOW was been filled with shocks in its first season, but for series star Nicole Beharie (Abbie), she admitted the fan reaction to the show — and her character — was the thing she didn’t see coming. Saving the (fictional) world from monsters, creatures, and the upcoming apocalypse can be rough. 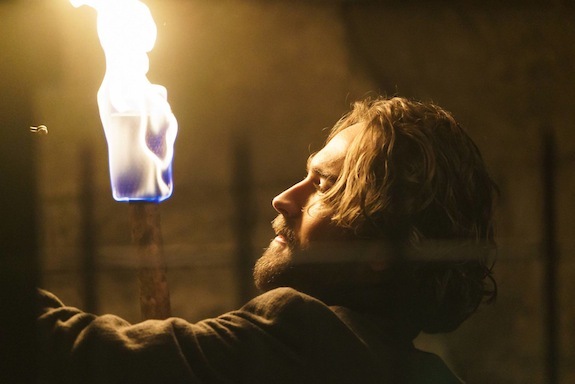 But luckily for the stars of SLEEPY HOLLOW, they’ve found ways to keep the show’s atmosphere light while filming the Fox drama in Wilmington, North Carolina. During SLEEPY HOLLOW’s Comic-Con panel, fans were shown a season 2 clip of Abbie and Ichabod working to construct a creature of their own — The Kindred. 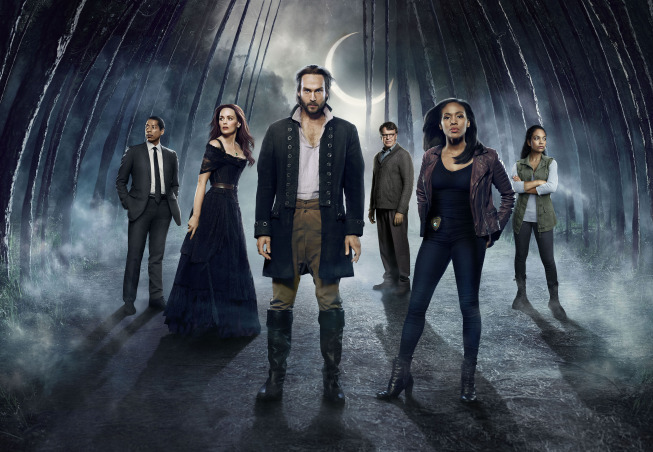 The gorgeous SLEEPY HOLLOW season 2 cast photos are out! 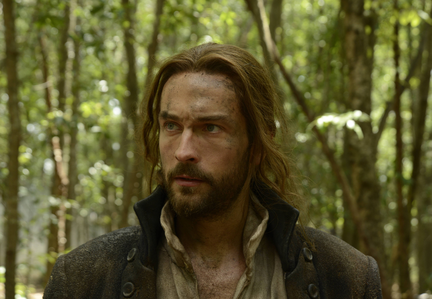 Check out pictures of stars Tom Mison, Nicole Beharie, Orlando Jones, Katia Winter, Lyndie Greenwood, and John Noble! SLEEPY HOLLOW returns Monday, September 22 at 9 PM on Fox.